The defending Super Bowl champs will have a lot of different faces on both sides of the ball to start the 2015 season. On the defensive side of the ball the team will look to replace longtime Patriot Vince Wilfork, linebackers Akeem Ayers and Jonathan Casillas who were good depth and situational players for the team last season, as well as cornerbacks Brandon Browner and Darrelle Revis who went back to the division rival New York Jets. 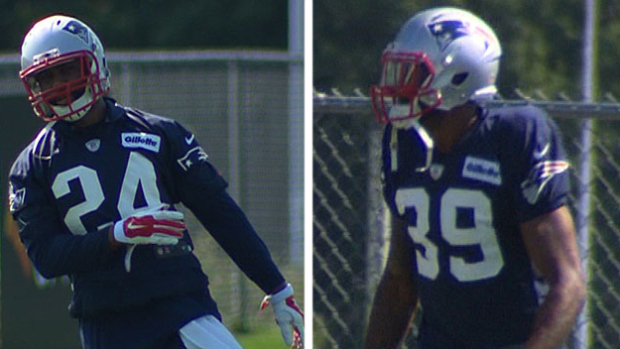 The losses of Browner and Revis will hurt the Patriots the most. Last year New England played primarily a man coverage defense, this year it looks like the team will be focusing on more of a zone defense and pressuring the quarterback through their front seven. The Patriots defense will look to rely on 1st round pick defensive tackle Malcolm Brown to replace Wilfork, cornerbacks Logan Ryan and Super Bowl hero Malcolm Butler to take on larger roles this season as well as free agent signee Jabaal Sheard to add to New England’s pass rush and pressure the quarterback for the new look defense. Offensively the Patriots will look similar to last year, only losing running back Shane Vereen to the New York Giants in free agency. Also guard Dan Connolly is currently a free agent and according to some reports is considering retiring from football after winning the Super Bowl. The Patriots will also be without running back LaGarrette Blount for the first week of the season for a violation of the leagues substance abuse policy last year as a member of the Pittsburgh Steelers, who New England plays week one. New England may also be without quarterback Tom Brady who is currently appealing his 4-game suspension handed down to him by the league for the “DeflateGate” scandal and there is no timetable for the league to make their decision regarding Brady’s appeal. The offense could look a lot different than it has the past 15 years if Brady ends up losing his appeal and accepting his suspension (which I do not think will happen). 2nd year quarterback Jimmy Garoppolo would likely be the starter for the duration of Brady’s suspension and though no one knows how the offense would operate with Garoppolo under center, it is almost guaranteed to take a step back to when Brady is under center. 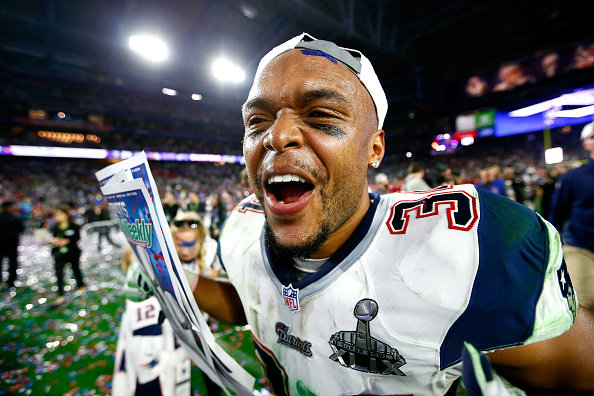 With Blount out for week 1 and running backs Shane Vereen and Steven Ridley gone the offense could look very different than it did back in February when the Patriots were playing for the Super Bowl. 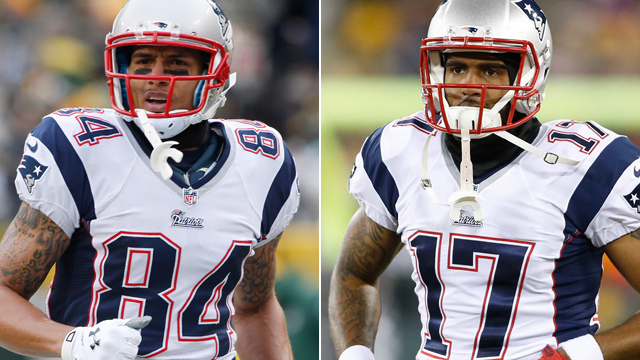 As it stands right now, the Patriots have their top three wide receivers on the depth chart set. Julian Edelman, Brandon LaFell, and Danny Amendola seem to be locked in as the the primary three starters. Then there is the fourth wide receiver spot that is up in the air as of right now. Free agent acquisition Brandon Gibson reportedly received solid reps during OTA’s, but the real competition for the fourth spot will be between Aaron Dobson and Brian Tyms. 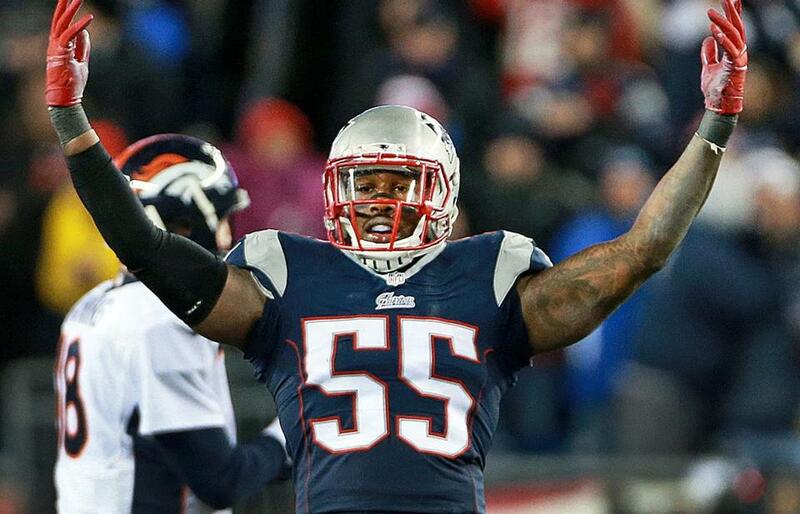 Aaron Dobson’s Patriots career started right out of the gate his rookie season. Due to a severe lack of wide receivers, Dobson was thrown into the fire right away, and it took him a while to become acclimated to the complex Patriots offense. As time progressed, Dobson became comfortable and he became one of the league’s best rookie receivers in 2013 finishing with 37 receptions, for 519, with four touchdowns in only 12 games. During the most important offseason of his career, (year one heading into year two) he spent his time rehabbing from ankle surgery, which killed his progression. The ankle continued to bother Dobson, and it lead to him playing in only three games in 2014, along with a hamstring injury. After a full offseason in which he was healthy, Aaron Dobson has had time to get back on track. He spent much of his time at the highly acclaimed Fischer Sports Institute in Arizona, which is famous for helping players recover from surgery. Dobson’s biggest asset is his size. He is one of the tallest receivers on the team, and he has great athletic ability. Dobson showed his rookie season that he has the ability to stretch the field, and be valuable in the red zone. Strength and health is his main issue. For his own sake, he needs to prove in training camp that he can stay healthy, be a solid run blocker, and shake free of corner jams off the line, because if he doesn’t he may be out of a job. The Patriots re-signed Brian Tyms this offseason, to basically a one-year make or break deal. With virtually zero guaranteed money, it won’t be a difficult decision for the Patriots to cut Tyms if they decide to at the end of camp. Although, many reports from OTA’s and minicamp have been that Tyms is getting the majority of first team reps, over Aaron Dobson. Of course, it is never the best idea to read into minicamp reports because players are in shorts and t-shirts, but it is something to keep in mind when training camp starts next month. With Dobson being injured for the majority of last season, Tyms received his chances to really take control of the fourth receiver spot, but he failed to truly capitalize. He finished the year with only five receptions on twelve targets. He made one significant play and that was the 43-yard touchdown reception in Buffalo during their week six contest. In order for Brian Tyms to secure his spot on the Patriots roster, he will need to prove he can be more than a, “one-trick pony. ” At 6-3, 210 pounds Tyms runs the vertical route with the same look as Randy Moss, who was his mentor of his in San Francisco. However, Tyms doesn’t run with nearly the same speed, and the, “go-route” is the only weapon in his arsenal. He will need to show that he can be effective in more than one way. In conclusion, the training camp battle for the fourth wide receiver spot on the Patriots roster will most likely be won by Aaron Dobson. What it comes down to is who has more raw talent, and Dobson certainly wins that contest. When fully healthy, Aaron Dobson can stretch the field and also catch the ball over the middle of the field. In addition, the strength and physicality is there more with Dobson, and of course the most important thing is he has more trust from Tom Brady. Tyms is a little awkward when running routes, and hasn’t shown yet that he can valuable in any situation. With only twelve targets from Brady last year, the trust doesn’t look to be there. It will certainly be one the more interesting competitions to keep an eye on in Foxborough this summer.